The Dell W-5300n has a solid reputation for producing high quality, crisp prints. As a matter of course your Dell W5300n will consume all of your printer toner, and when that does happen you'll quickly work out that new Dell W5300n toner is often very expensive. However, you have no need to panic about forking out the steep fees you'll discover on the main street because now at Cartridge Save you can pick up all the Dell W 5300n cartridges you'll ever need at super low prices. Spend less money by ordering online with Cartridge Save! It makes no sense to fork out so much for the W-5300n original cartridge or W5300n compatible toner in the high street when it is much easier to save a pile of money buying online with Cartridge Save. Get perfect peace of mind when buying W5300n toner cartridges from us as each one is underwritten by a cast iron money back guarantee. Don't forget to take into consideration that every single order also has free delivery, normally arriving on your doorstep the following business day! The Dell workgroup laser printer W5300n impresses with fast graphics and text printing, at up to 45ppm. It has built-in Ethernet and there are options to expand the paper capacity and memory to match the needs of a growing workgroup. Users can print on various types of media with the black and white Dell W5300n laser printer and these include transparencies, cards, envelopes, and labels. 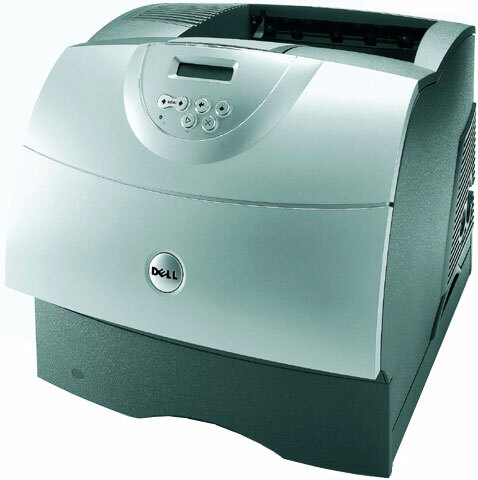 Savings on Dell W5300n toner can be made by purchasing high yield toners or cheap "aftermarket" compatible Dell W5300n printer cartridges which are made using recycled parts.